Displaced people due to floods and conflict in Somalia. The security of millions of people is threatened by the increasing in scale and number of climate disasters. Climate change is a real multiplier of security risks and crises. Indeed resources scarcity can threaten the integrity of a State and/or trigger inter or intra-state conflicts. 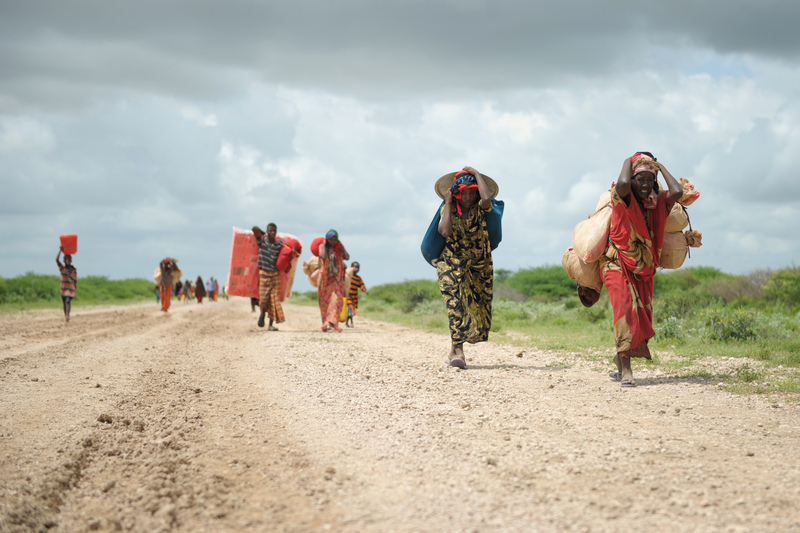 At the same time, some factors such as droughts and floods have consequences on humanitarian security, multiplying the incidence of food insecurity, impoverishment or forced migrations, which can increase the threat on regional stability. All of this contributes to the multiplication of tensions and conflicts. Ten years ago, the Security Council took up this issue by linking for the first time energy, security and climate. The international community requested the UN Secretary-General to brief the Council on the effects of climate change on security, with the adoption of a Security Council Presidential Statement in 2011. In March 2017, the Security Council adopted Resolution 2349 which recognizes the adverse effects of climate change on the stability of the Lake Chad region. Finally, in December 2015, parties to the Paris Agreement, 170 to date, committed to fight against global warming. In the continuum of this mobilization and at initiative of France, Germany, Italy, Japan, Maldives, Morocco, Netherlands, Peru, the United Kingdom and Sweden, the Security Council will hold a meeting on Friday 15 December 2017, in order to alert on the impact of climate change on security and the necessity for the international community to prepare and anticipate the destabilizing effects related to climate change.